The length of the pattern gives you outstanding torque capabilities, the sort of capabilities that will allow you to break the most stubborn fasteners. The blow-molded carry case will keep your tools safe and organized. You can easily hang it on the wall, put it in your toolbox, shove it in a rollaway, or take the case with you. The edges of the handles aren't rounded enough, so they dig into hands a bit. The GearWrench 85988 is everything you would want in a wrench set and then some for good measure. You could recommend it to beginners but the combination of sheer quality, practicality, and overall convenience of the instruments is something that only an experienced handyman could truly appreciate. 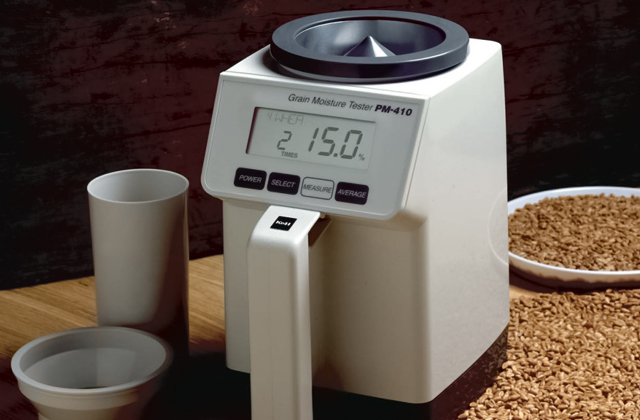 The flex heads smoothly and easily pivot 180 degrees. They hold any angle and freely move with each stroke, so getting around obstructions will prove to be no challenge whatsoever. The 6-point openings snugly yet firmly fit the hex-shaped heads of the fasteners. By gripping the flat sides, they prevent the usual round-off issue. The ratchet gears are a tad noisy. The Tekton WRN77164 is a ratcheting wrench set for people who are willing to pay the extra price for quality and performance. 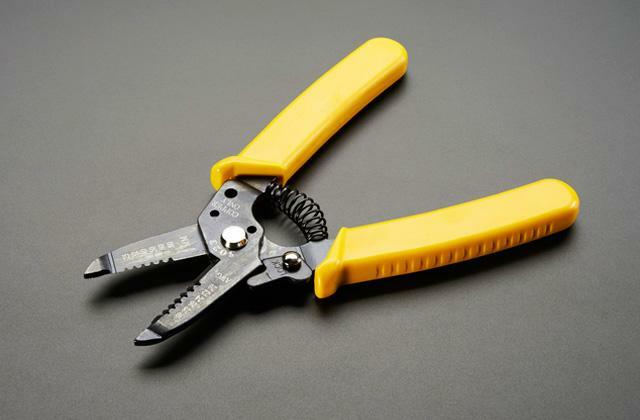 The tools themselves are top-notch and the so-called Store-and-Go Keeper comes equipped with a convenient folding handle and non-slip grippers that lock the wrenches in place. The wrenches come equipped with a 72-tooth ratchet gear. This kind of gear needs only a 5-degree swing to move the fastener, making it much more effective compared to the regular 30-degree swings required by normal wrenches. The off-corner loading on the box-end ensures an improved grip and reduces the fastener rounding. Too fat on ends to be used in tight spots. 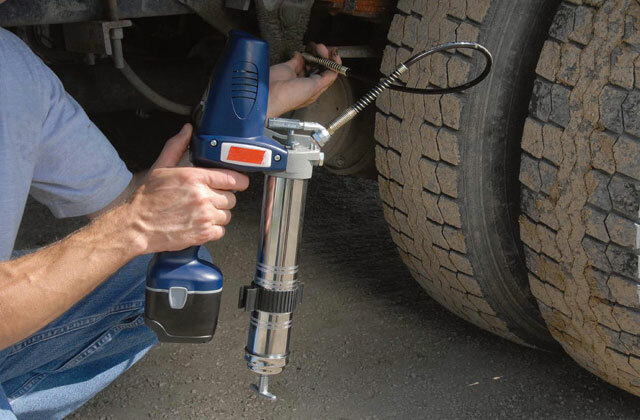 The GearWrench KDT9224 is one of the most reasonable options on the market today. 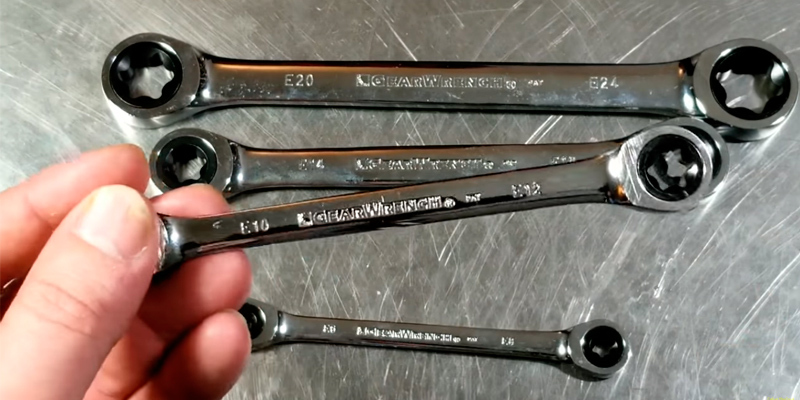 These wrenches are extra long and will save you a lot of time. Just about anybody, from a seasoned handyman to an aspiring DIYer, will be able to put these instruments to good use. Every instrument features Torx design, the design that incorporates two different box-ends of two different sizes on each wrench. This way, you get 10 different sizes out of 5 instruments. The wrenches are extra long. They provide better leverage and improve torque, so you will have to apply a lot less force and effort to move the fasteners. The surface is prone to scratches. 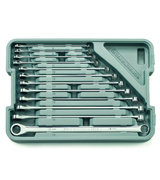 We would recommend the Vim Tools WTC624 wrench set to professional mechanics first and foremost. It should also satisfy the needs of those car enthusiasts who like to dabble in a variety of automotive projects. The set comes complete with a holder that really helps with transportation. 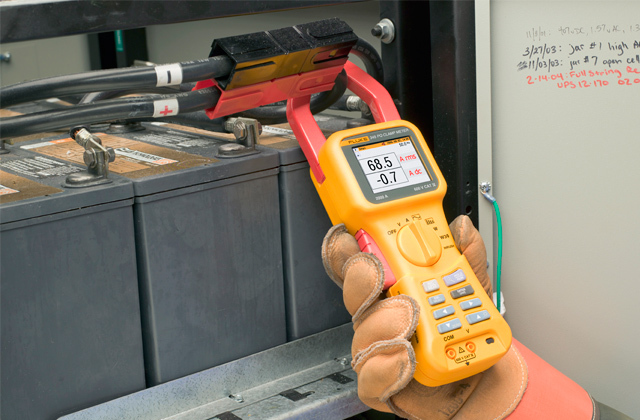 The tools are made of drop-forged and heat-treated vanadium steel. 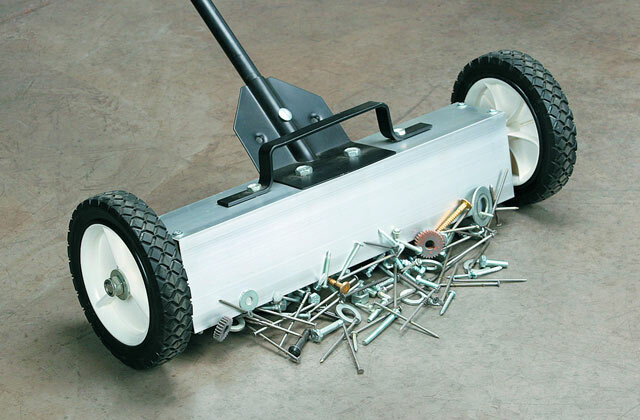 Every wrench features grit blasting and a chrome-plated surface. The former further improves the tools on the longevity front while the latter makes them rust-resistant. The sand-blasted treatment makes them really slim and smooth, a real pleasure to work with. The plastic organizer is flimsy. 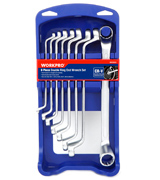 This box-end wrench set from WORKPRO, despite the modest price, has a sufficient number of pros and assets to compete with the best in the business. The compact set does not require a whole lot of storage space but the number of applications it will allow you to tackle is practically limitless. There isn't a whole lot you can improve upon with wrenches. They're simple tools that serve a singular purpose. Having said that, some of these tools are still better than others, and if you compare sets instead of singular instruments, it isn't hard to identify a clear winner. 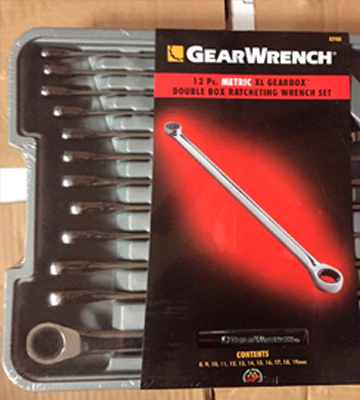 And, as far as we're concerned, that winner is the GearWrench 85988. A few things make this wrench set better than the others. To start with, there's the design of the ratcheting box-end. The said end requires no more than 5-degrees to move the fastener, which is a pretty big shift compared to the usual 30-degrees of the majority of its competition. The design of the ratcheting box-end has been improved but the standard box-end here is still, well, more or less standard. But combine it with the length of the pattern and you get outstanding torque capabilities, the sort of capabilities that will allow you to break the most stubborn fasteners. Any hand tool is only as good as its construction and each tool of this 12-piece set is comprised of the finest chrome vanadium steel. 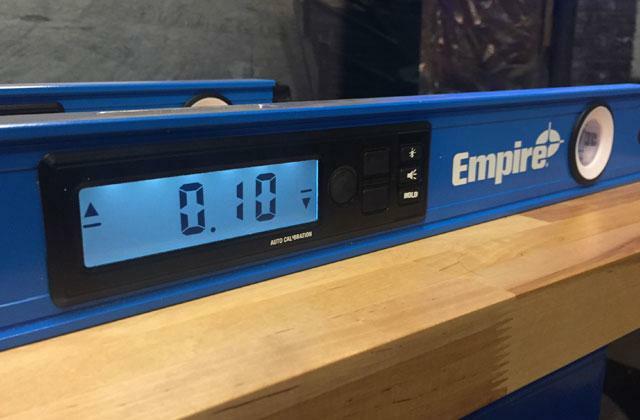 That makes the tool sturdy enough to withstand professional everyday use for years on end. The last order of business here is, of course, the carry case itself. More specifically, the blow-molded carry case that will keep your tools safe and organized. You can easily hang it on the wall, put it in your toolbox, shove it in a rollaway, or take the case with you. In conclusion, the GearWrench 85988 is everything you would want in a wrench set and then some for good measure. 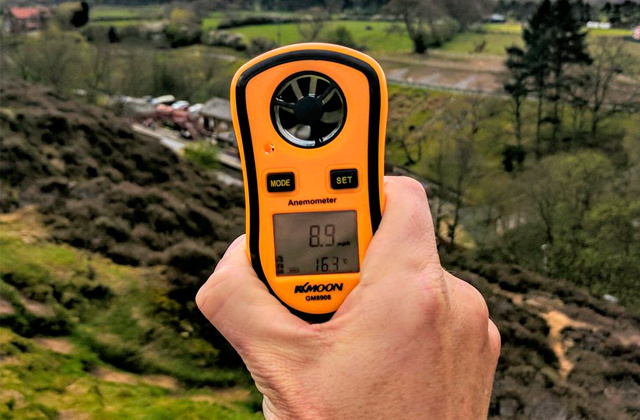 You could recommend it to beginners but the combination of sheer quality and convenience of the instruments is something that only an experienced handyman could truly appreciate. 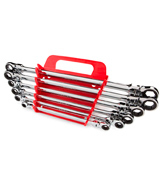 The 6-piece wrench set from Tekton isn't cheap, we will give you that much. But despite the somewhat elevated price, we're still convinced that you'll get your money's worth. You certainly won't have any application issues as the flex heads smoothly and easily pivot 180 degrees. They hold any angle and freely move with each stroke, so getting around obstructions will prove to be no challenge whatsoever. The 6-point openings deserve some love as well. They snugly yet firmly fit the hex-shaped heads of the fasteners. Instead of gripping corners, they grip the flat sides. This way, the openings prevent the usual round-off issue. As per usual, each of the 6 tools features a different size. But every one of the box wrenches in this set incorporates a particularly long beam. A beam like that ensures a far better reach and the sort of leverage that will help you turn the toughest fasteners. The 72-tooth ratchet gears require as little as 5 degrees of a working swing arc in order to reach the next tooth position. When there is less room to move, the gears become faster and more efficient. On top of that, these gears are cut and not press-formed. This kind of approach creates the sort of crisp and precise profile that won't skip or slip under pressure. All in all, the Tekton WRN77164 is a ratcheting wrench set for people who are willing to pay the extra price for quality and performance. 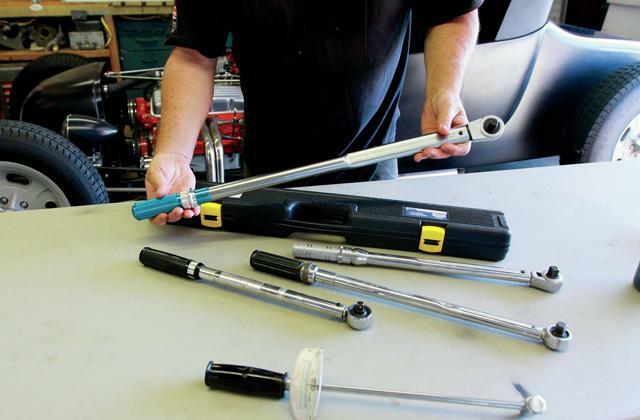 The tools themselves are top-notch and the so-called Store-and-Go Keeper comes equipped with a convenient folding handle and non-slip grippers that lock the wrenches in place. 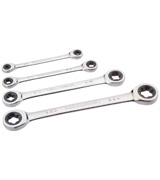 The GearWrench KDT9224 is a pretty basic 4-piece set of ratcheting wrenches. 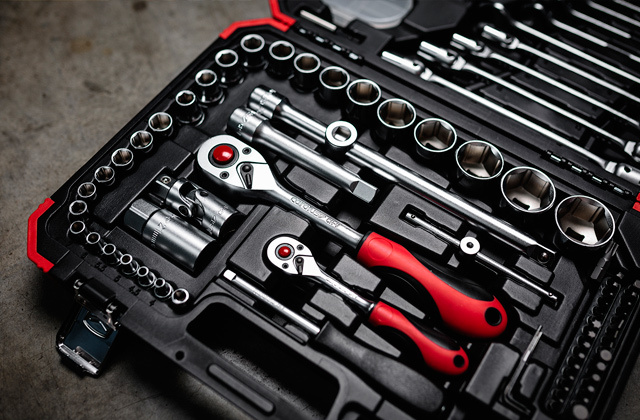 Unlike standard wrenches, these tools will let you tighten or loosen the bolt much quicker since you won't have to remove the wrench from the bolt and reposition the wrench every time you turn the bolt. 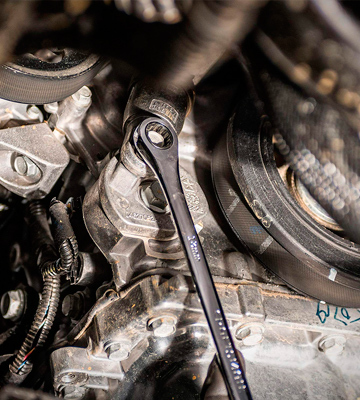 Aside from the speed advantage, just like the majority of these wrenches, the tools in question come equipped with a 72-tooth ratchet gear. This kind of gear needs only a 5-degree swing to move the fastener, making it much more effective compared to the regular 30-degree swings required by normal wrenches. 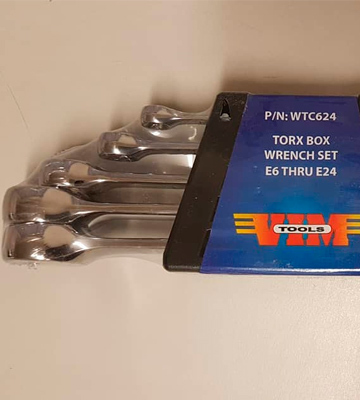 Each instrument features the company's trademark E-Torx®, their own take on the usual Torx design that gives you 2 different sizes in a single wrench. On top of that, the off-corner loading on the box end ensures an improved grip and reduces the rounding of the fastener. Every wrench is fully polished, featuring an all-metal construction that will keep them in a solid condition after years of faithful service. Plus, the tools come with a nice molded tray. 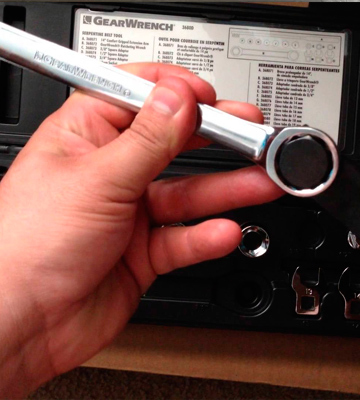 Long story short, the GearWrench KDT9224 is one of the most reasonable options on the market today. 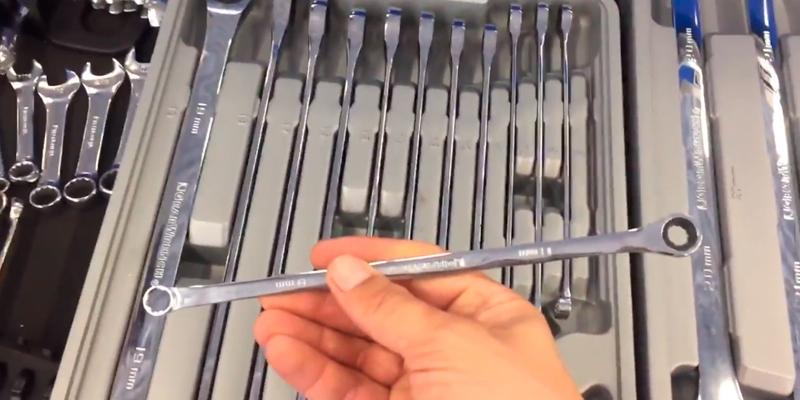 These wrenches are extra long and will save you a lot of time. Just about anybody, from a seasoned handyman to an aspiring DIYer, will be able to put these instruments to good use. The Vim Tools WTC624 is another seemingly simple offer. For a fair price, you will get a 5-piece wrench set. The wrenches are the standard box-end type, the type that is most commonly used for automotive projects by professional mechanics. That said, they do have a variety of household applications too. There really isn't that much to cover here but there are a couple of things we would like to mention about these instruments. First off, each tool features the usual Torx design, the design that incorporates two different box-ends of two different sizes onto each wrench. This way, you get 10 different sizes out of 5 instruments. The wrenches are made of Cr-V steel, a reliable metal that handles rough professional application. 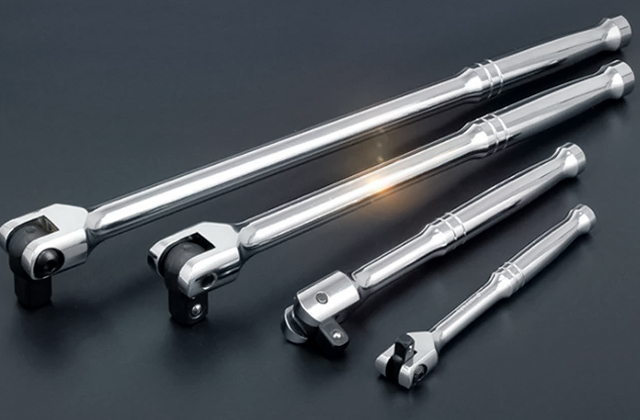 Each wrench is extra long, a design solution that provides better leverage and improves torque, so you will have to apply a lot less force and effort to loosen or tighten even the most stubborn fasteners. The manufacturers didn't forget to include engraved markings, so you won't have any issues finding the right tool. That said, the surface is somewhat prone to scratches, so you might want to be careful with them. To rephrase our earlier point, we would recommend the Vim Tools WTC624 wrench set to professional mechanics first and foremost. It should also satisfy the needs of those car enthusiasts who like to dabble in a variety of automotive projects. The set comes complete with a holder that really helps with transportation. 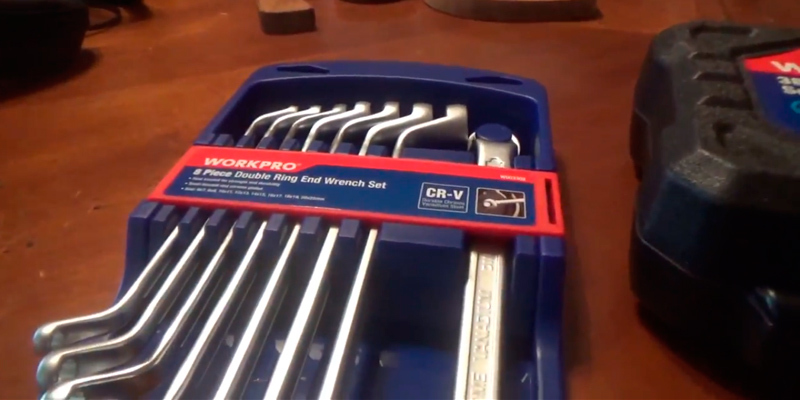 The wrench set from WORKPRO is one of the most affordable options on the market. But, surprisingly enough, it isn't even remotely one of the less impressive options. While it has its flaws, the set also has quite a lot going for it, more than enough to justify the very modest price. Handle tools have to be durable first and foremost, we doubt somebody would try to argue this point. And each of the 8 box-ended wrenches could very well be described this way. 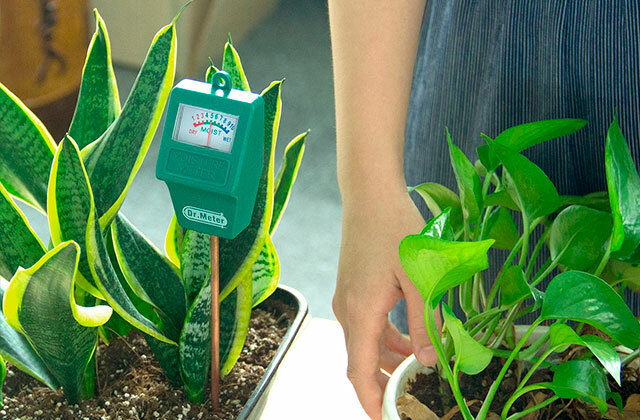 All of them are comprised of drop-forged and heat-treated vanadium steel, a material that's as sturdy as it sounds. On top of that, every wrench features grit blasting and a chrome-plated surface. The former further improves the tools on the longevity front while the latter makes them rust-resistant. Finally, the sand-blasted treatment makes them really slim and smooth, a real pleasure to work with. 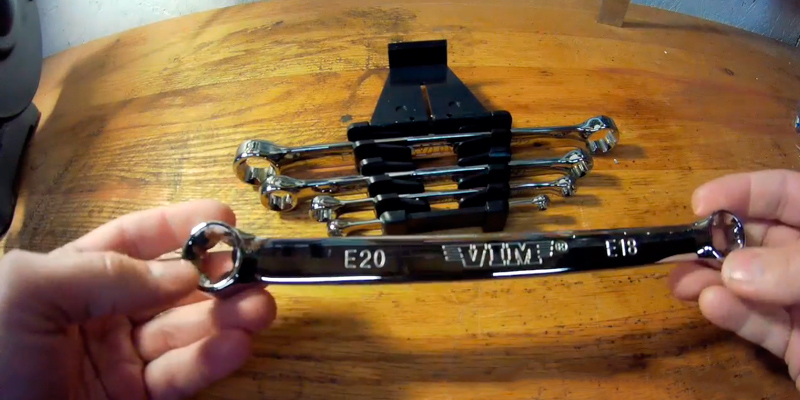 As we've said earlier, this set gives you 8 different wrenches. 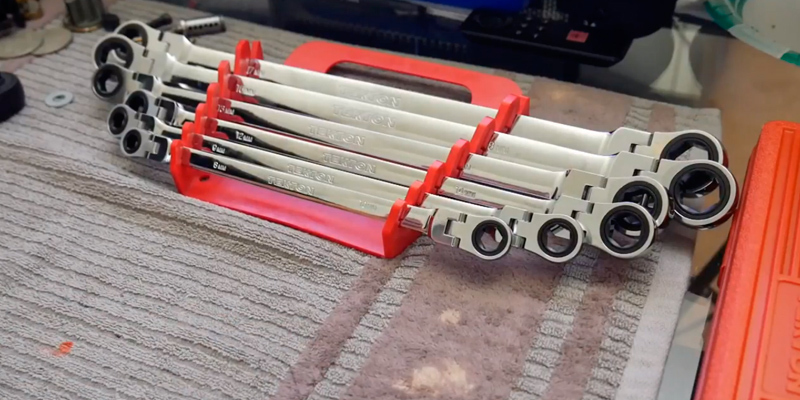 And since every wrench incorporates Torx design, that gives you 16 different box-ended sizes. The smallest one features a 6-mm end, perfect for getting into some of the tightest spots. The set also includes a plastic organizer rack. It will greatly help you with storage. But the rack is a tad flimsy, so you'll have to be careful with transportation. 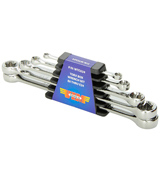 Bottom line, this box-end wrench set from WORKPRO, despite the modest price, has a sufficient number of pros and assets to compete with the best in the business. The compact set does not require a whole lot of storage space but the number of applications it will allow you to tackle is practically limitless. What Is a Wrench Set? On one hand, a wrench is a simple hand tool. On the other, there are so many different variations of these tools out there that one could easily get lost in the lingo. Fortunately, we aren't dealing here with every single type of wrench, so you won't have to figure out every in and out of the trade. 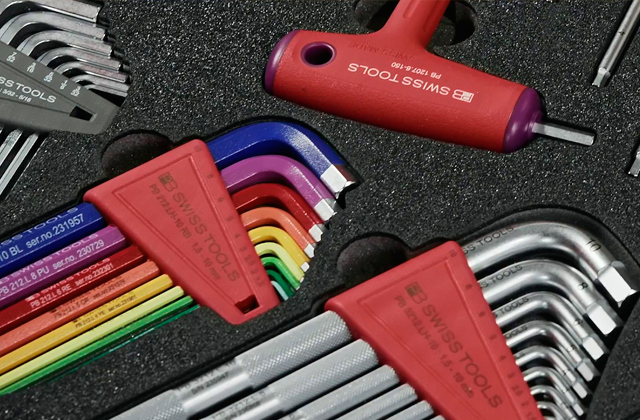 In this review, we're only presenting you with a choice of standard and ratcheting box-end wrenches. Simply put, the only difference between the two is that the latter will allow you to tighten or loosen nuts and bolts without removing the tool, making them a bit more effective in that regard. Some of the best ratcheting box-ends also feature a pivoting head, a convenient design solution that allows you to reach tight spaces. Other than the type, you should keep in mind the number of tools you'll be getting, the available sizes, and all of the extra features like engraved markings or some kind of a holder/carry case. Of course, there is always the material that goes into the tool's construction, but most wrenches are sturdy enough to withstand everyday use. Of course, wrenches are fairly limited in their application. 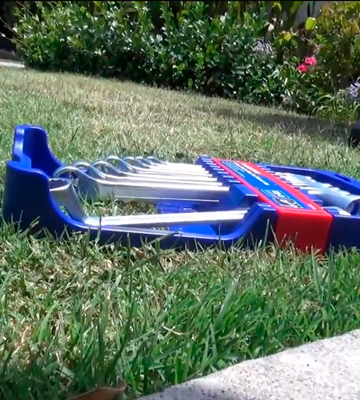 If you need something more versatile, you could check our review of multi-tools. And if you'd like to dabble in electronics repair, a soldering iron is exactly what you need.